By accessing or using privateinvestigators.cc, or any derivative of the privateinvestigators.cc Websites, (collectively, the "privateinvestigators.cc," or "We", or "IPIU"), You ("Member" or "User" or "Customer" or End User") acknowledge that you have read, understand, and agree to be bound by all the Terms and Conditions set forth in this Agreement, including "Shipping & Returns"), even if you do not make a purchase and or use or rely on the Services available through privateinvestigators.cc. Changes to the Terms and Conditions. Logging in is your continual agreement. Payment for products and services. Some Lifetime Membership benefits, such as services in obtaining a licensed private investigator as a sponsor for a proposed agency license, may be delayed until the account is paid in full. Late payments are subject to an additional 20% of the payment due to reinstate the payment plan in good standing. Name transfer of a lifetime membership to another name is subject to the return of the issued PI Union License Photo Credentials and a $99 transfer fee. Customers who purchase the set-up of a corporation and registered agent service may be offered a casual mailing address for official corporate business at no additional annual cost. Use of the casual mailing address, also known as a shared office plan, is governed by the specific corporation owner's instructions and approved address template. Any deviation from the approved address template may result in additional fees and suspension of the use of the casual mailing address with all mail be stamped "Return to Sender - No Such Addressee". Domain and/or hosting services purchased over-the-phone or through any of our company managed sites require a separate account to be set up at www.privateinvestigatorhosting.com in order to maintain the continued management of your account and renewals. All fees are posted at www.privateinvestigatorhosting.com . Active customers who have purchased domain names and wish to avoid the regular Private Registration fee for each domain name may do so by privately emailing our Customer Support Team with your log in information and password so that the waiver can be approved. Lifetime Membership Sponsor Help benefits for a PI Agency License does not include other items such as agency insurance or state application fees and other government costs. privateinvestigators.cc reserves the right at all times to discontinue or modify any of these Terms and Conditions at our sole discretion without prior notification to you. Such changes may include, among other things, the adding of certain fees or charges. You acknowledge that it is your responsibility to review these Terms and Conditions prior to logging in to your account. If we make changes to these Terms and Conditions and you continue to use our Website or Services, including, but not limited to, by logging into your account, you are agreeing to and accepting these Terms and Conditions. The following information is collected from you through the Web site. 1) How the information is used. 2) With whom the information may be shared. 3) What choices are available to you regarding collection, use, and distribution of the information. 4) The kind of security procedures that are in place to protect the loss, misuse, or alteration of information under privateinvestigators.cc' control. 5) How you can access and correct any inaccuracies in the information collected about you. Your privacy is a top priority at privateinvestigators.cc. Our relationship with our customers is our most valuable asset and the very basis for our reputation, so supporting the protection of privacy rights is a fundamental element of our business. 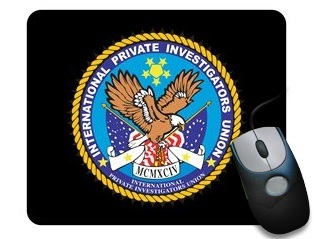 privateinvestigators.cc, a site operated by the International Private Investigators Union (IPIU), is the sole owner of the information it gathers on this site. privateinvestigators.cc will not rent or sell names or personal information from our customer database to other companies. privateinvestigators.cc does not voluntarily provide information to law enforcement agencies. privateinvestigators.cc will employ attorneys to resist unwarranted subpoenas for information in our files. If we are compelled by a court to produce information on a specific individual, we are obliged by law to comply. What information is collected and how is it used? In several areas of privateinvestigators.cc, we ask you to provide information by filling out and submitting an online form. When you make a purchase at privateinvestigators.cc, you are required to create an online account. Your online account is password protected and available only to you. We ask for your name, address, and contact information so we can send you your order and contact you if we have a question about your order. We ask for credit card information so we can fulfill your order and can provide this information to the company that processes your credit card payment. Your online account and purchase data is transmitted using industry-standard SSL-encryption. All online account and purchase information collected resides on a secure server. Credit card numbers are encrypted when stored on the secure server. Credit card numbers are deleted from the server on a regular basis. We ask for your name, e-mail address, ZIP code, gender and category preferences. We use this information to ensure that we're sending you the type of e-mail updates you would like to receive. This information is held securely and maintained only by privateinvestigators.cc. Instructions for removing your name from the list come with every e-mail. We ask for information to help us answer your questions. By sending us an e-mail, you automatically provide us with your e-mail address. We will use this information only to follow up on your questions or requests. Some information is automatically received and collected from you when you visit privateinvestigators.cc. We receive and can collect the Internet Protocol (IP) address of the computer you are using, the browser software you use and your operating system, the date and time you access our site, and the Internet address of the Web site from which you linked directly to our site. A user's session will be tracked, but the user will remain anonymous. We use this information to monitor the use of our site. The information we capture automatically provides us with information about our user base and use patterns and remains private. We will make no attempt to correlate personally identifiable information with any of this aggregate information. 2) This includes Searching, shopping, adding to a cart, and accessing the checkout without loggin in. 5) When you visit privateinvestigators.cc without logging in, we do not collect your name, e-mail address, or any other information unless you provide it to us. After you place an order at privateinvestigators.cc, you will receive an e-mail confirmation with your order information. We send the privateinvestigators.cc E-News, which is our e-mail update on products, sale items, and interesting news to subscribers and occasionally to other customers we think might be interested in receiving this information. Unsubscribe instructions are included in every e-mail. If you provide your e-mail address in an e-mail to privateinvestigators.cc, we may send you an e-mail to follow up on your inquiry, but we will not use the address for marketing purposes. privateinvestigators.cc may provide links to Web sites we think our customers might find interesting. These sites may operate independently of privateinvestigators.cc and have established their own privacy and security policies. privateinvestigators.cc does not endorse any of these companies or the products they offer and we strongly urge you to investigate these companies' privacy policies before providing them any personally identifiable information. We provide these links for information purposes only. Contact us by phone at 1-406-534-0251, or by e-mail at betty.stevenson@privateinvestigator.cc Please include a note of instruction. We are always looking for ways to improve our site's features and services. As a result, this statement may be updated from time to time. We encourage you to review this page periodically for the latest information on privacy practices at privateinvestigators.cc. For questions, comments about, or assistance with any privacy-related issue, we invite you to contact us. We are always ready to help.